When you need boiler maintenance in your Schenectady, NY home, you need a professional you can rely on. That’s why so many people have trusted Family Danz for more than 30 years. For the past three decades, we’ve been in the business of providing quality boiler maintenance to our customers in the Schenectady, NY area. Our top goal is to keep your boiler running effectively and efficiently. Family Danz offers Schenectady, NY residents exceptional boiler maintenance. Our technicians are highly skilled, and work to provide customers with quality workmanship and products. They’re specially trained to maintain any make or model of boiler, and they work diligently to ensure that you’re 100 percent satisfied with the boiler maintenance that they perform in your Schenectady, NY home. Boiler Maintenance for your Schenectady, NY home is as easy as calling Family Danz. 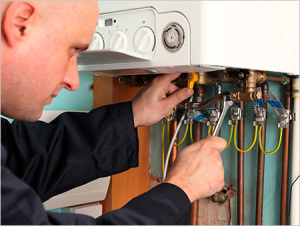 We work to provide our customers with the best boiler maintenance, repair and installation available. We are always looking out for our customer’s best interest, and it is our goal to provide you with exceptional service that exceeds your expectations. If you need boiler maintenance for your Schenectady, NY home, Family Danz is ready to assist you. Simply call us at (518) 427-8685.